Holdfast: Nations At War is an online multiplayer first and third person shooter focusing on a combination of teamwork and individual skill. Take part in historic clashes on land and at sea waged by the most powerful nations during the great Napoleonic Era. Charge into battle with over 125 players per server! - Join the Navy - Experience what it’s like to be a crew member on board a military sailing ship. Raise the sails, fire the cannons, test the water depths and cooperate to keep your vessel afloat! - Enlist in the Army - Work with your comrades to storm enemy fortifications, support the fight from the rear with artillery fire or keep the line steady in open field battles and lead your men to victory! - Class System - Play as a Captain, Sailor, Line Infantry and more! Every class comes with its own traits and roles which are crucial for your team’s survival. - Challenging Combat - Whether you are manning cannon, firing a musket or swinging a sword, Holdfast: NaW's combat mechanics are easy to learn but hard to master. Skill is rewarded via a precision and timing based directional melee combat system that puts players’ reflexes and dexterity to the test. - Competitive Play - There will be plenty of chances for you and your mates to take on other groups in tournaments and fierce competitive events. Hone your skills because you can be sure that your opponents will too! 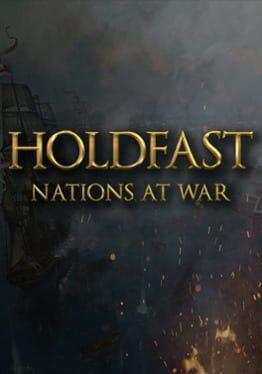 Holdfast: Nations At War is available from 13.25 to 15.19 from 2 shops.